I noticed that the displacement texture was an 8-bit image and had colour banding. I tried removing this in photoshop using noise+blur, but this created strange artifacts when rendered in blender. 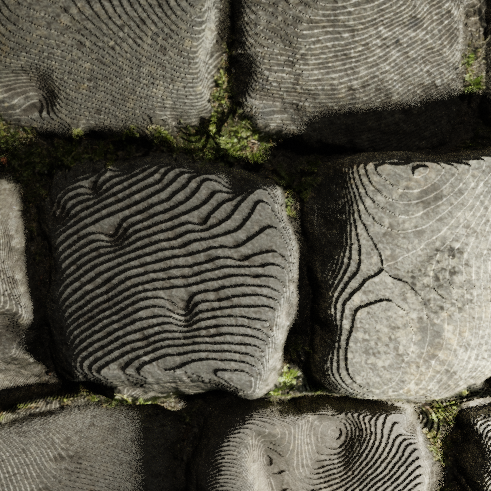 How can I remove this stepping in the displacement texture? EDIT: The image I originally uploaded was created using the 8bit image downloaded from texture haven: https://texturehaven.com/tex/?c=floor&t=cobblestone_floor_07. I would like to know if there is any way to smooth out the texture. How do the histogram and number of colors in the texture affect a displacement map? Texture displacement using the displacement socket in cycles.